Yup, that really was "very, very soon"
Just hours after launching its app store for iOS, Pebble has also set the beta Android version free. Yes, that's beta, so there are a few niggling bugs in the system, including some that cause problems with pairing via Bluetooth. Another issue means you'll need to press 'Load' on your phone when installing an application with the Pebble tool. 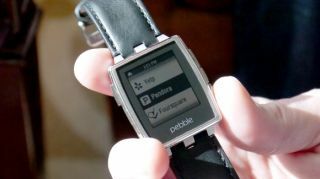 You can go grab Pebble Beta version 2.0-BETA8 right now over on the Pebble developer blog.